Water, the lifeblood of Mother Earth, is much more than hydrogen and oxygen. It is a mysterious, crystalline living entity which nurtures all life on Earth. It is a powerful carrier, mediator and producer of energy. It has the ability to link, transform and carry physical elements and subtle energies. Flower and gem elixirs are a good example of the latter. Over 70% of our bodies and the planet is water. The necessity of healthy, structured water cannot be exaggerated. 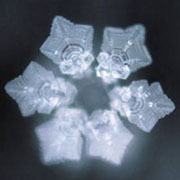 However, some startling work by Masaru Emoto, a creative and visionary Japanese researcher, has taken the simple idea of structuring water to another level. 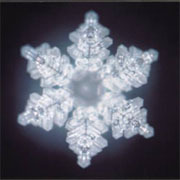 Mr. Emoto has published an important book, "The Message from Water". If you have any doubt that your thoughts affect everything in, and around you, the following photographs, taken from the book of his published results, will change your mind and alter your beliefs, profoundly. 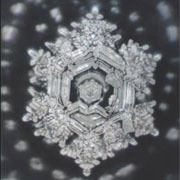 In Mr. Emotos work we are provided with photographic evidence that pollution, human vibrational energy, thoughts, words, ideas and music affect the molecular structure of water, the very same water that comprises over seventy percent of a mature human body and covers the same amount of our planet. The quality of our life is directly connected to the quality of our water. 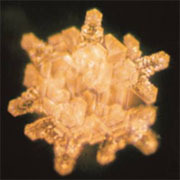 Each snowflake, as we have been told, has a unique shape and structure. 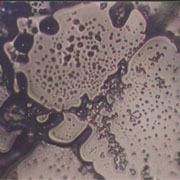 By freezing water and taking a photograph of the structure, you get incredible information about the water. I will let the pictures speak for themselves. Clear quartz crystals, "the ice of the gods", were given this name because some previous cultures considered them to be water, frozen eternally by a higher power. When we consider the properties of water in relation to Mr. Emotos work, and the properties of quartz (S102), in relation to the information technology industry, the link between water and quartz is clear - both have amazing information storage properties. 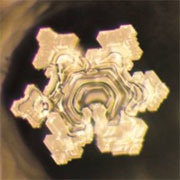 If we can leave photographable "imprints" in water, programming crystals might not be as far-fetched as it first appears. The effects of words on water. The effects of music on water. The effects of prayer on water. 1 - 6 clear quartz crystal points (single crystals), of any size. 2 - 1 double terminated (a point at each end) clear quartz crystal of any size. 3 - A clear glass container (a glass or bowl). 4 - The purest water you can find. Don't be discouraged if this is not ideal, we can only work with what we have! The following process will certainly make an improvement to any water. 5 - A clear intention to restructure and energise the water. 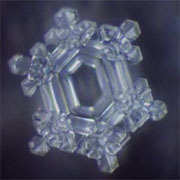 Crystals interact with the human mind, so this is important for optimum results. 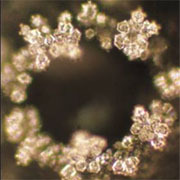 1 - Clean the crystals by holding them under cold running water for a few minutes. 2 - Fill a plain glass or bowl with water. 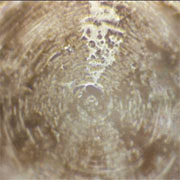 3 - Place the double terminated crystal centrally in the water. 4 - Arrange the 6 points equally around the container (facing inwards), to form a hexagon. 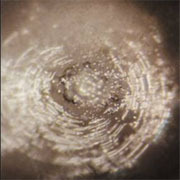 5 - Visualize the points charging the DT and the water with vital, healing energy. 6 - Visualize the DT charging the water with vital, healing energy. These last 2 steps are not essential as crystals have their natural effect on their environment, but as the above pictures show, this will certainly amplify the process and allows scope for more precise intentions. Leave this arrangement where is will be undisturbed for 3 to 4 hours, in sunlight if possible. If you are leaving it outside, cover with a plain glass sheet to prevent contamination. Placing underneath a favourite tree or plant will add an extra vibration to the water. Make fresh daily. 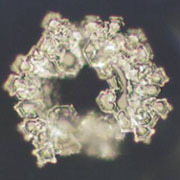 Research has shown that even naturally structured spring water loses most of its prana after around 4 hours. 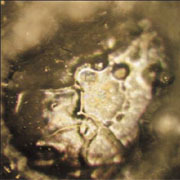 A quartz crystal in the container will keep the water structured.